Our 26 prize FCI winner in Corabia is now for sale at the Corabia auction. This beautiful hen got the 86th place in the OLR finale 2017 (525km). 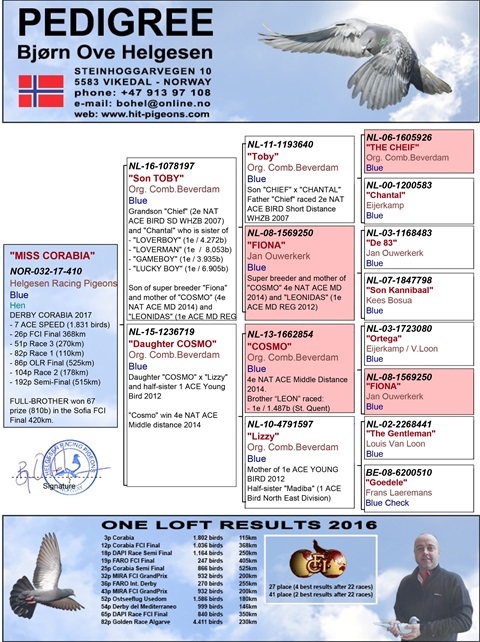 This bird is a full sister «BIG COSMO» raced 67 prize in Sofia OLR Final 2017 (420km).